First, find the measure of AD and BE. 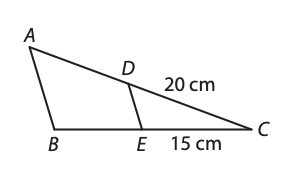 Second, determine whether AB and DE are parallel. therefore AB is not parallel to DE.